Got an Alexa device? You can stream us and listen to our station while you’re getting dinner ready in the kitchen. 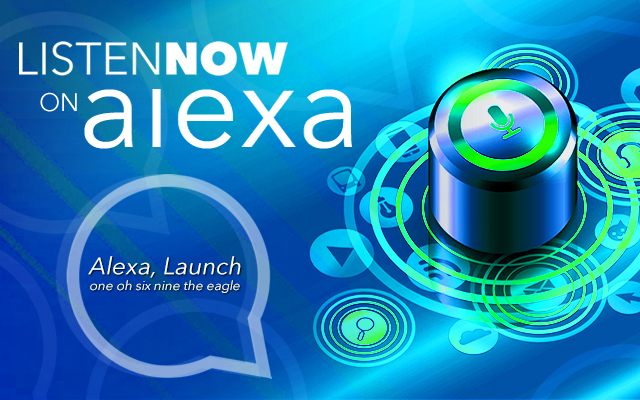 Simply say, ‘Alexa, enable one oh six nine the eagle Skill…’ It’s a whole new way to listen to 106.9 The Eagle in 2018. WHAT IS AN ALEXA SKILL? + Amazon’s voice service is called Alexa. Much like your phone has an “app”, your Amazon devices (Echo, Echo Dot, Echo Tap, Echo Show, etc) have skills. Users interact with their Alexa enabled device via skills. + Skills can be “default” – meaning they come pre-enabled on your Alexa device, or they can be “custom”. Custom skills are searchable in the Alexa Skills Store and offer a more robust feature set. ARE CUSTOM ALEXA SKILLS FREE FOR ALEXA USERS? + Yes, custom Alexa skills are free for users to enable and interact with on their Alexa-enabled devices. HOW DO I ENABLE THE CUSTOM ALEXA SKILL FOR 106.9 The Eagle? + Open the Alexa companion app on your mobile device, search for the 106-9 The Eagle, Countrys hottest Hits skill & click enable. ONCE MY SKILL IS ENABLED, HOW DO I USE IT? + If you say “Alexa, play one oh six nine the eagle”, you will likely open the TuneIn skill. 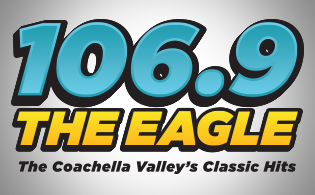 If you want the 106.9 The Eagle skill to open, giving you access to the live stream and more, make sure to say “Alexa, launch one oh six nine the eagle”. + Skills have sets of features/abilities that you can access simply by asking. Until you are familiar with a skill’s abilities, use Help or Options voice commands to hear what a skill can do. When you know what features are available, ask for your specific course of action. ENABLE the skill now to LISTEN LIVE! Stay in school and WIN a $1000 Scholarship!